Refined Reminders is a powerful and versatile HTML email notification system that provides a seamless communication between your users, the LMS and Adobe Connect. 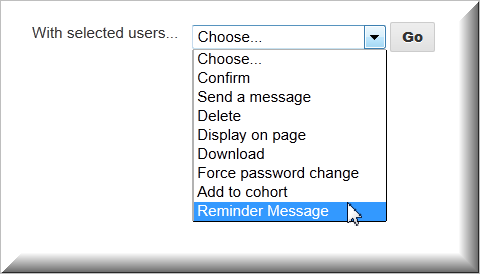 Reminders can be sent from many places in the LMS, including Connect Meetings, Bulk User Actions, Course Welcome Messages, Course Invitation Messages and Role Alerts. 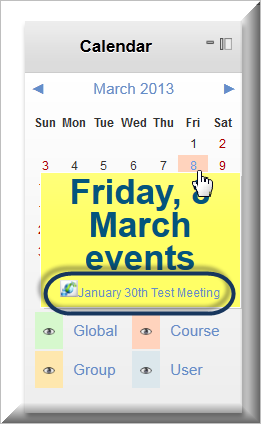 An enrolled student will also see the event in their list of meetings when using the My Meetings tag by Refined Data. You will be redirected to the Updating Connect Activity page; scroll down to the Reminders section. With this feature, you can send customized messages to individuals or groups of users. From the Site Administration menu select Users >>> Accounts >>> Bulk User Actions. Use the default filter User full name to select known individuals or expand Show Advanced to select from all other User filter criteria. In the advanced filter options, the Last access and Last modified filters can be specified by a date "is before" timeframe. This works only if date "is after" is also specified. The date "is after" works independently. Pay attention to select the Reminder Message and not the standard Send a message option. Click on Save changes. On the Confirmation page that appears, the LMS will show a draft of the reminder and will ask: Do you really want to send the message above to all these users? Click on Yes to send the message and No to cancel. In either case, you will be redirected to the first Bulk User Action page. You can confirm that the emails were sent by going to Site Administration>>> Reports>>> Logs>>> Today’s logs and looking for the action Library Mailer sent to the selected users. Bulk User actions also allow you to perform other operations, such as removing users, sending them a message or downloading them. You will need to create a Welcome Reminder beforehand as outlined in Creating Custom Reminders. In the Language section of your Course Settings, is the option to send an Invitation message, which allows registered users to invite colleagues to attend the event. 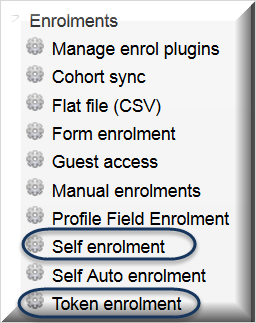 This option is not automatically added to every LMS but is available if it meets your needs. To use it, you also need to set up the invitation message; see the Dynamic Field Variables section of the Creating Custom Reminders article. 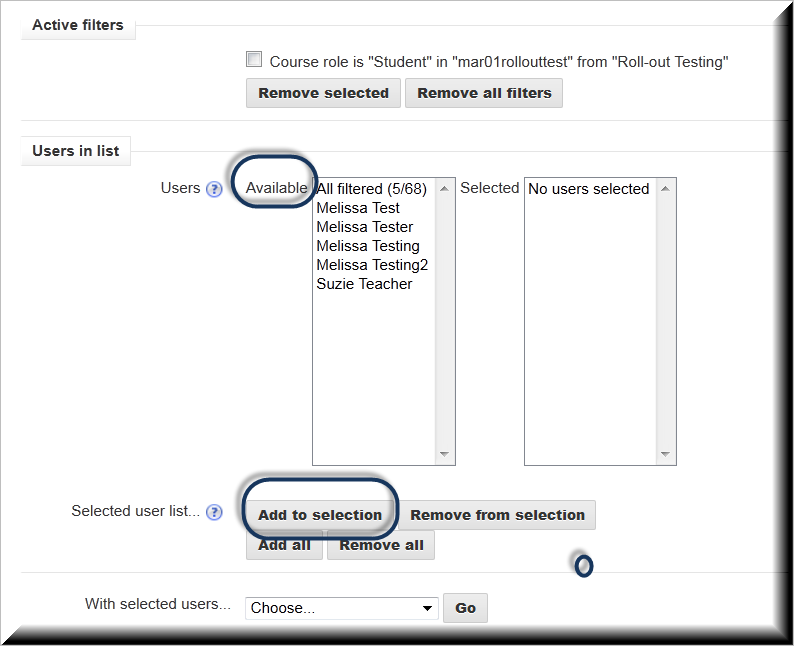 Role alerts uses a Reminder to advise an administrator when a user has been assigned a system role in the LMS. This notification allows the administrator to authenticate the user prior to assigning their role and permissions on the LMS. To learn more about this feature and how to use Reminders with it, see the Role Verification article. The default for this setting is Yes, but we recommend you disable it and add a custom Course Welcome message instead, if you need one for a particular course. Disable the course welcome message, Save changes and add a Course Welcome message instead.